Applications for equipment which will be beneficial for several users will be prioritized. The completed form is to be sent to me by Monday December 10th, 2018. This entry was posted in [:no]K2Nytt Uke 44[:en]K2Nytt Week 44[:], News, This week's editorial on Friday November 2nd, 2018 by hbe012. UiB wants the research environments to already now start the process towards a new SFF application round (expected in autumn 2020). They would like to get the names of potential coordinators and topic by Dec 1st. The faculty has asked the institute leaders to come with a list of potential SFF to the instituteleader meeting November 13. The Research Council states that the scientific quality is the main criteria and would like to see centers that develop new collaborations. At the same time, also gender balance will be important to consider. It is important to be creative and ambitious and have a complex problem to be addressed by a team of interdisciplinary research. Here is an overview over active or previous centers. Please send suggestions to Silke, Amra and Eystein by Monday 12.11. kl 12. This entry was posted in [:no]K2Nytt Uke 44[:en]K2Nytt Week 44[:], News, Application deadlines on Friday November 2nd, 2018 by hbe012. Målgruppe: Instituttledere og administrative ledere på fakultet/avdeling, institutt og i sentraladministrasjonen. This entry was posted in [:no]K2Nytt Uke 44[:en]K2Nytt Week 44[:], The HSE Corner, News on Friday November 2nd, 2018 by hbe012. Free membership in the Nordic Society for Precision Medicine! Click to sign up with the ONLINE FORM. In meetings, workshops, and other activities, the Society will facilitate regional efforts in research, standardization, technology and methods development, training, legal and regulatory alignment, and communication about the potential of genomic research and medicine to improve public health. In the initial phase of society building, your membership in the organization is free and provides discounted registration to Society meetings and other activities. This entry was posted in [:no]K2Nytt Uke 44[:en]K2Nytt Week 44[:], News on Friday November 2nd, 2018 by hbe012. Welcome to a special and extended CCBIO Junior Scientist Symposium at Panorama Hotel & Resort at Sotra, just outside Bergen. This time we will host a lunch-to-lunch symposium from Monday 19th– Tuesday 20th of November. The CCBIO Junior Scientist Symposium is a forum to practice presenting projects, engaging in scientific discussions and interact with like-minded peers. In addition, to enjoy excellent and interesting scientific presentations. The symposium will start with a delicious lunch, before proceeding with an excellent academic and scientific program, including an inspirational lecture by the experienced scientist, professor and vice dean of doctoral education at our faculty, Roland Jonsson. We will focus on how to improve scientific presentation skills, both through illustrations and orally, in the workshop; “How to make great figures and present your work in 3 minutes”. Here you will get an overview of “do’s” and “don’ts” from the experts. 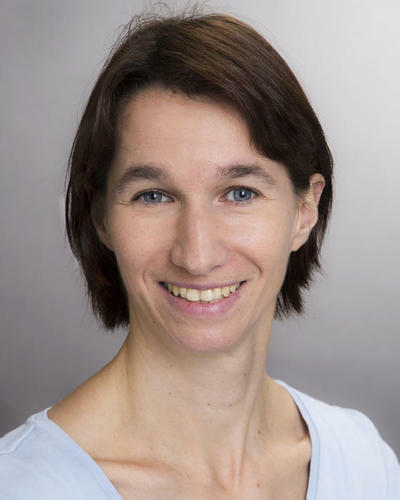 We will also be inspired by previous organizers of CCBIO JUSS who will give us ideas on the different aspects of life in academia. Day two will bring research insights and inspiration from Professor Stein Ove Døskeland and his 45 years of research, and Researcher Nils Halberg, representing a young investigator leading an established research lab. As always, there will be exciting scientific presentations from CCBIO junior scientists, both days, and if you have work that you would like to present, you may nominate yourself upon registration. The modest participation fee for this symposium (500 NOK per person in double room, 1000 NOK in single room, ask your group leader for support) includes lunch both days, dinner and hotel stay in double or single occupancy, in addition to the organized bus transportation between Haukeland Campus and the Panorama Hotel & Resort at Sotra. Access to facilities are included. When: Monday 19th of November at 12.00 (bus at 10.15 from Haukeland Campus) to Tuesday 20th of November at 13.00, when the bus departs from the hotel. Where: Panorama Hotel & Resort at Sotra, just outside Bergen. Registration: please use this link. Who: This is an arena where PhD candidates and postdocs gain experience with oral presentations and academic discussions, and in addition we are happy to welcome other interested students, researchers, staff and visitors. For those registered for the CCBIO901 program, attending this symposium will count as two regular symposia. Hope to see you there, for great presentations and a great time! This entry was posted in [:no]K2Nytt Uke 44[:en]K2Nytt Week 44[:], News, Seminars and conferences on Friday November 2nd, 2018 by hbe012. Dear Researchers from the Department of Clinical Medicine (K1), Department of Clinical Science (K2) and Helse-Bergen. You are hereby invited to present your work to fellow researchers and the general audience at the 13th Annual Research Presentations arranged by the Research School in Clinical Medicine 23rd-25th January 2019. If you have presented a poster or had an oral presentation at a scientific meeting or a conference in 2018, you are welcome to present your work at our conference. You can submit one contribution – either a poster or an oral presentation. Each poster presenter give a short presentation of the poster to a scientific committee (around 3 minutes including questions from the scientific committee). Posters should be submitted as PDF files. Please check the quality thoroughly before you submit your poster. We will print out the posters on a poster banner. 10 minutes for each oral presentation + 5 minutes for discussion. Please send us your PowerPoint presentation through e-mail before the event. Oral presentations held at meetings in 2018 can be presented in their original form, but given that the audience will be a general medical one, it may be wise to include some additional background information. Note: Due to time limitations, there will be a limit of 20 oral presentations. Only the first 20 to submit their oral presentations will be able to participate. A scientific committee appointed by the Research School will evaluate all presentations held by PhD students and postdocs. Prizes will be awarded to the best posters/presentations. Building on last years success, we will also this year have a “People’s Choice Award”. Send abstract (if oral presentations) or abstract+poster (if poster presentation) to forskningspresentasjoner.forskerskolen@uib.no. Abstract should be possible to open with Microsoft Word and posters should be sent as PDF. NB: Mark the file(s) and your mail’s subject with your name, the affiliation you have (K1, K2 or Helse-Bergen) and if you are a PhD student or postdoc/researcher. Specify whether you want to have an oral or poster presentation. As in previous years, we would like to have a short Norwegian summary which is easy to understand for the general audience (typically 5 sentences long in a Word document). If you have questions, do not hesitate to contact us through the e-mail address provided above. Deadline for submission: 1st of December 2018. This entry was posted in [:no]K2Nytt Uke 44[:en]K2Nytt Week 44[:], K2Nytt Uke 47, News on Friday November 2nd, 2018 by hbe012. Denne antologien beskriver høydepunkter fra den medisinske historien i Bergen. 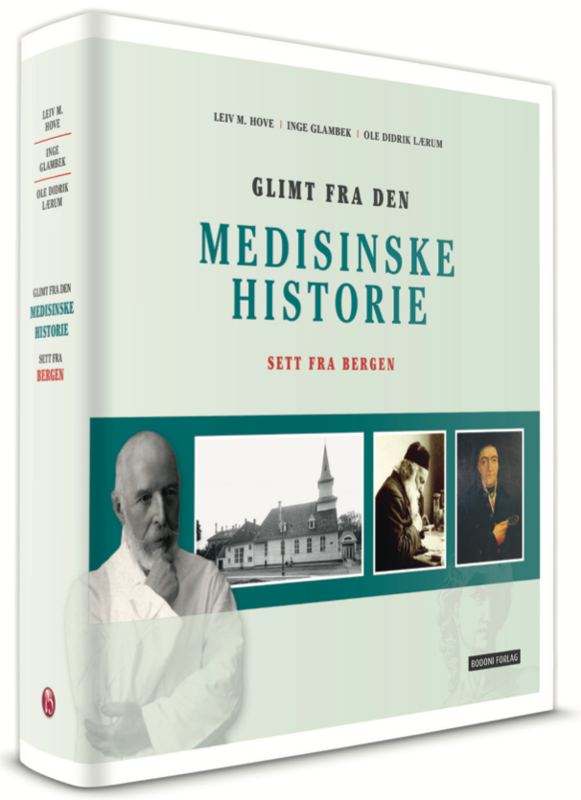 Den følger også historien fra antikken, gjennom middelalderen med fremveksten av universitetene, og kampen for vårt første egne universitet. Pionerene fra Bergen Museum og byens sykehus følges frem til opprettelsen av Haukeland Sykehus og etableringen av Universitetet i Bergen. Tid: Onsdag 7. novermber kl.12.00. Sted: Bergen Offentlige Bibliotek, noterommet i 2. etg. Here are recent publications with contributions from K2 based on last week’s search on PubMed (and optionally articles that have not been included in previous lists). This time the list includes in total 21 recent publications. The entries appear in the order they were received from NCBI. If you have publications that are not included in this or previous lists, please send the references to Hege F. Berg. This entry was posted in [:no]K2Nytt Uke 44[:en]K2Nytt Week 44[:], News, Publications on Friday November 2nd, 2018 by hbe012. This entry was posted in [:no]K2Nytt Uke 44[:en]K2Nytt Week 44[:], PhD Comics on Friday November 2nd, 2018 by hbe012.